Urban Decay 24/7 Eyeliners, The black is slightly shorter than the pink! Odd! This is me with the perversion and woodstock on my water line, lower lash line, and outer V area. I LOVE these!!!! Look how dramatic these can make your eyes look. 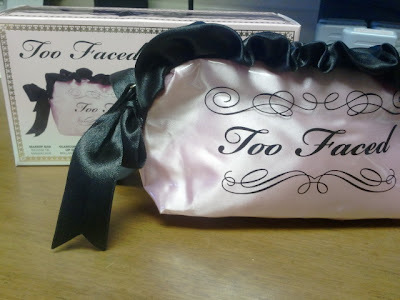 I also lightly dusted the Too Faced bronzer over my cheek bones and applied some of the Too Faced lip gloss over my Clinique chubby stick in super strawberry. What a great post! So many amazing products! NARS is still my absolute favourite makeup brand! Thanks, I was in makeup heaven today! 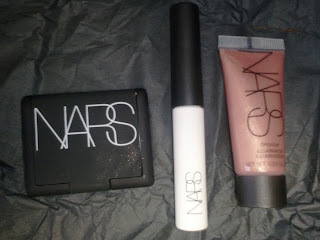 I was totally obsessed with the mini NARS stuff...sometimes its the free gift with purchase that gets us so excited. I love NARS too. I haven't tried any of their lip products, but really want to. Do you recommend any? Omg, I told you to buy this like three times before you even ordered it! I was talking to you, remember? !